You can create your own community without spending a dime thanks to social media. On Facebook, for instance, you can start a Page, or even a group where members can share information and photos that they have collected or come across. The more official and professional these accounts are managed and presented, the more noteworthy star gazers (and more star gazers in general) will join. The bigger the community, the better! If you find your star gazing community is becoming successful, you should start your own website for it. This way people can post unique articles and updates that can be stored properly. Further, your website can also allow for new members, groups, and forums, meaning that you’ll have brought together like-minded individuals in an even more communicative location. Be wary, though, as websites break down. If and when your does, don’t fret, there are SQL data repair services to get your website (and members) back up and running. For the biggest celestial events of the year, it’s a good idea to try to organize groups so that star gazers can come together and enjoy it. Nothing is better than doing something you love with people who love it too (especially if those people are your loved ones). 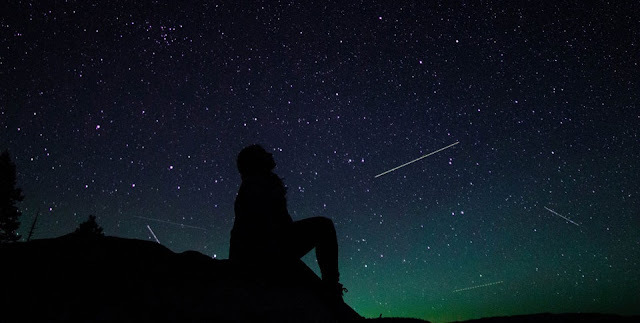 Go out, enjoy the stars with people who are not only willing to stay up late, but eager to do so. The bigger your community, the greater the number of locations you’ll be able to make events happen, and still have a good turnout. The best thing any community moderator can be is someone that is respected and admired within the community, and you can become this by running a great website and acting as a fair moderator. If you really want to be someone valued in your field, write articles to inform and educate people about the stars and planets and the universe. The more reputable you are as a person, the better your community will become. Once your community is bigger and more well-known, you’ll even be able to hold conventions and other events. The point of a community is to share in doing what you love, and your events will encourage others to love star gazing as well. These events can help you fundraise so you can offer even more services to add value to the community at large. The universe is a massive, beautiful place, and you don’t have to have science degree to enjoy it. For those who don’t want to work for NASA, and are instead hobbyists, communities are the best place to be. Start a community today and let everyone who loves space come together.